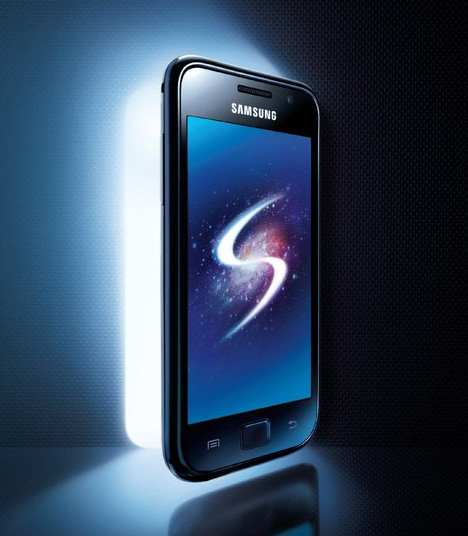 Samsung Galaxy S: Simple Smartphone or Out of this World? So many smartphones, so few fingers – but being big fans of Android it was impossible to pass up an early review copy of the Samsung Galaxy S. And, sure enough, turn it on and the best of Google is arrayed right in front of you on an easy-to-edit, stylish-looking homepage screen (including search-by-voice functionality and video call capability). This device, while very sleek, slim, sturdy and solid, brings me back in time to the early days of dedicated, one-game, hand-held gaming devices – its slightly-larger size makes it fit perfect in a two-handed grip when flipped sideways. 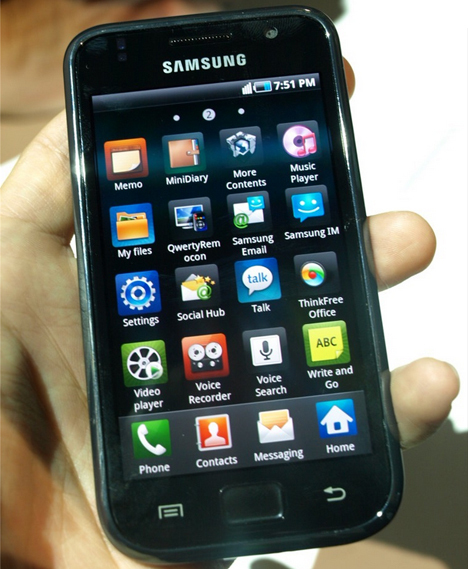 As promised, the Galaxy S does a much better job than most on the market of being the basis for a truly-integrated social experience, including conversation-style text messaging that looks and feels more like a computer-side experience. 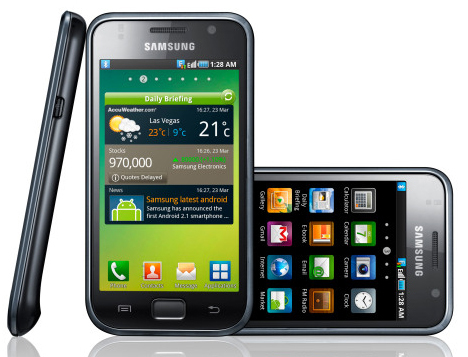 The GPS is fast, accurate and likewise well-integrated into the core experience of the phone. A bright and relatively less-reflective screen makes it easy to see what you are doing at an angle, or show a friend something on the phone. Keep in mind, too, that the version shown here is the European one – various others were created by individual companies in the United States, and from the sound of it the Spring model is by far the best (partly for including a full slide-out keyboard!). And what ab out the details? The camera (who even bothers to count mega-pixels anymore?) lets you focus on anything in the view screen, which can create tilt-shift ‘special effects’ but is also infinitely handy in a world of sometimes-too-automated smartphone cameras. Typing is a breeze, as one would expect, in landscape format … though the portrait mode makes it more difficult than one might want. This is a little annoying simply because some functions don’t allow for long-view typing, though not a deal-breaker per se. The back button being in the lower right might throw some folks, being slightly counter-intuitive – and the menu button on the lower left is easy to bump, at least for those new to the phone. That said, it might be a matter of time and adaptation. In short: there may be a slightly steep learning curve on this rather complex phone, but in exchange for that there are a great many more possibilities as well built right in or available to add. Oh, and it looks and feels awesome, did we mention that? For more detailed and numeric specs see their site. See more in Phones & Mobile or under Gadgets. July, 2010.